The elementary major prepares students to teach in an elementary school. 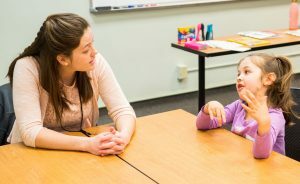 Graduates with an elementary major are available for assignment to teach kindergarten through eighth grade (K-8) in elementary schools of the Wisconsin Evangelical Lutheran Synod and are qualified for Minnesota state licensure in elementary education (K-6). In addition to the general education courses, students must complete additional required content courses, professional education courses, and field experieces as outlined below. Consult the program plan to see how the major may be completed in four years. Following the plan will also ensure that the appropriate general education electives are taken. Free elective credits (9) in a combination or 1, 2, or 3 credit courses must be taken to meet the minimum requirement of 130 credits for graduation. Students may choose to complete a minor along with the Elementary Education major. Endorsement Minors can lead to a Minnesota licensure endorsement along with the K-6 elementary education license. A listing of the minors and their courses follow. Some minors may be completed during the regular semesters. Other minors require additional summer session course work. For more information on minors, click here.